Look out into your garden. What do you see? Is your patio worn and uneven with weeds growing in between? Let D&K Home Improvements realise the potential of your garden by installing a new look to your garden. 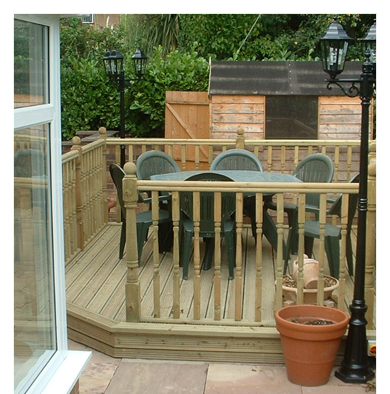 We specialise in Timber Decking and Patios. We can transform your garden to somewhere to sit and relax on a summer evening. 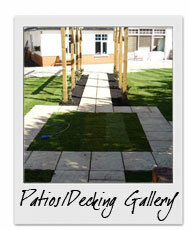 Decking and patios allow minimum maintenance yet look attractive all year round. It will also add value to your home. We know how important your garden is to you. You may already have a plan of what you want and we'd be happy to work to those plans. Alternatively we could offer you some ideas and leave them with you for you to decide. We work to minimum disruption and can have your garden transformed before you know it!